can I get a little hate? I’m fascinated by branding. Not the marking-cows-so-the-don’t-get-rustled kind. The kind of branding that’s about identity and messaging and clear authenticity. How clear? If No One Hates You, No One is Paying Attention. That statement is the title of a great piece by Alf Rehn (@alfrehn), and gets at the heart of branding. Alf reminds us that trying to be all things to all people doesn’t work, despite the legions of businesses that attempt it. It makes sense to know and declare who you are as a business and what you stand for. But the ugly, unmentioned downside is that in doing so you are also declaring who you aren’t and who you stand against. Critics said it missed the mark, because it was obnoxious, reinforced negative stereotypes about Americans, and didn’t appeal to most buyers. Which was the point. They took a bold stand in defining who their target customers were and who they weren’t. It also got people talking and passionately arguing about Cadillac and what the ad represented. And it presented their electric cars a cool status symbol for people who would typically abhor electric cars as being for “tree hugging ecomentalists”. These ads actually highlight how low the bar for a definitive brand is set. That the ads appear buzzworthy is incredibly telling. This isn’t edgy – it’s actually very safe because it’s just acknowledging and reinforcing their long established brand images. The people who liked it were already on board and those who got irritated never going to be customers anyway. All the marketers have done is acknowledge and play off of what was already there. Middle-age folks with some bucks treating themselves with a luxury car because “they’ve earned it”? Not quite a shocker. Twenty-somethings buying a small economy car? Well, few among that market could afford the luxury brand even if they did want it. Safe. Safe. Amusing. But safe. You know how difficult it is to shake the reputation you establish in the first few weeks on a job? Branding is the same. The brand image can boost or haunt you for years to come. So one of the biggest challenges is changing a brand by creating a new and different identity. The risk is that you’ll offend and lose the existing demographic while not convincing anyone of the new brand. Some retailers, such as JcPenney have been giving a master class in how not to change your brand for the past couple of years. We started off with cars, so let’s continue there. Jaguar has been one of the most interesting rebrands to watch. They had a huge sporting heritage in the 1960s and then slowly morphed into an old man’s brand for people who liked luxury cars that tended to leak oil and break down on the way to the country club. Unfair? Tough. That’s the unfortunate power of branding. Your brand is not what you want it to be, it’s the identity and image stuck in the customer’s mind. And that can be tough to overcome. Are they good cars? Don’t know. But the branding has taken a bold, fun, tongue-in-cheek stance with a middle finger (or two fingers upraised) to the stodgy past. These are not cars for everyone. More importantly, judging by the styling and dragster-meets-F1 car sound, they are not cars for Jaguar’s traditional customer. But they are cars for who they want their new customer to be. They have a very clear idea of who that is and isn’t. Over the years, I’ve killed my throat. Or toughened it up – it all depends on your perspective. You see the thing is – I love spice. Whether it’s black pepper, cayenne pepper, or chilli pepper, I’ll incorporate it into recipes in some of the most surprising, and occasionally inappropriate ways. Just ask anybody that I’ve ever made hot chocolate for. Over the years though, my taste buds have toughened up to the constant flow of tobasco. It now takes fairly incredible amounts of it to register on me. I’ve developed a tolerance. In a similar way, our highly polarised politics and news media means that if you don’t have a really strong opinion, a Scots-Bonnet of an opinion (chilli lovers will know what I mean), then you’re not going to be heard, because audiences too have developed a tolerance for heat. 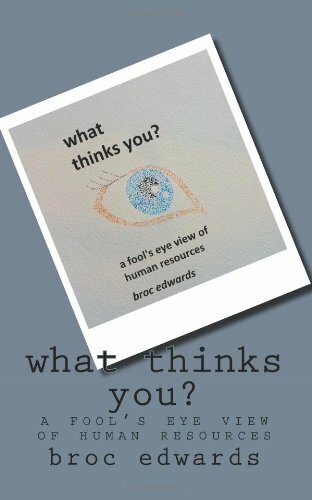 Then I spotted this piece on the web-site of my friend and fellow blogger, Broc Edwards. That tolerance for polarised heat that we’ve all developed exists in the commercial branding world, and in presentation world as well. Nobody likes food without flavour. In a world where we’ve all become used to a good dose of chilli with every message, what’s the right amount of heat to be adding to presentations?